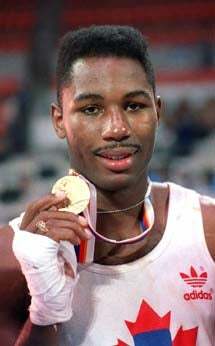 Lennox Lewis wants to make a comeback to the boxing ring. Who's he going to fight? Someone else who's coming out of retirement, of course, because that's all that's really left in boxing. An old-timers day in boxing would be rather redundant. Lewis and Vitali Klitschko want to punch each other in the face a few more times. They did it once back in 2003, a fight Lewis won on a controversial TKO. Lewis retired after that fight, despite the calls for rematch, and despite the money he could have made off it. He retired as champion, with his dignity and health intact. Imagine that. But, something about the sideshow that professional boxing has become is calling him back. It really seemed like Lennox Lewis was above this. There's a place in the world for guys like Tommy Mirroson and Joe Mesi, and for better or worse, that place is probably in the ring, getting punched in the face until they die. What else are they going to do, go to med school? Lewis seemed like the one boxer out there smart enough to realize that there are other ways to live your life. Screw it, though. You wanna come back, then come back... Tommy Morrison's going to need opponents on his way to the heavyweight title.